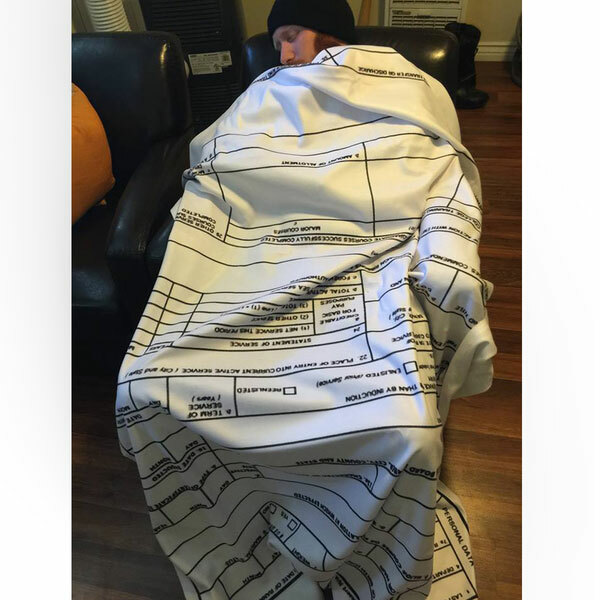 Feel safe and warm in the official DD-214 blanket™! Yes, we can customize these with your very own DD-214! Choose the “customized” style option at AAFNation.com Then contact support@americanasfuck.com to coordinate. We won’t use any personal information like your SSN. Duh!